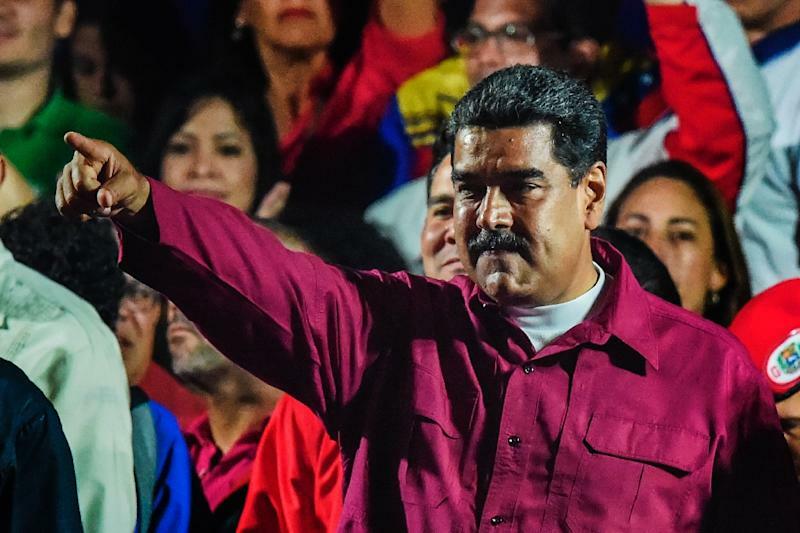 Caracas (AFP) - Venezuela on Wednesday said it had released a group of 43 prisoners accused of "political violence," part of a program undertaken by President Nicolas Maduro after his controversial re-election. Around a dozen of those released attended a ceremony with the head of Maduro's Constituent Assembly Delcy Rodriguez and Attorney General Tarek William Saab to mark the release. Saab indicated more releases would follow. "The cycle does not close today," he said. Ramon Guevara, one of several opposition leaders who attended the ceremony as "guarantors" of the prisoners, said Rodriguez had told him that prominent opposition figure Villca Fernandez would be released on Thursday. Fernandez, 34, was arrested in January 2016 on charges of "incitement to hatred" and disseminating false information. Guevara, governor of western Merida state, said Rodriguez had given a commitment that Fernandez -- a member of opposition leader Leopoldo Lopez's party -- was to be handed over at Caracas airport and immediately taken to Merida state early on Thursday. Maduro had requested the releases "for the sake of national dialogue and reconciliation," Rodriguez said. Some 124 prisoners, including American Joshua Holt who was held on spying charges, have been released since June 1. Rights group Foro Penal said 301 political prisoners remained in detention, including Lopez. Under Maduro, Venezuela is going through the worst economic crisis in its history. Hyperinflation has crippled the country, leading to shortages of food and medicine. Hundreds of thousands of people have fled Venezuela to escape the growing deprivation. Upon his re-election on May 20, Maduro promised to work for reconciliation and offered to free political opponents who have not committed serious crimes, in order to "overcome the wounds" of the protests against him, which have left some 200 dead since 2014.